Boots may not be the first thing to jump to mind when gift shopping, but young or new hunters need a good, sturdy pair of hunting boots. If you’re shopping for someone who loves getting the latest Nikes or other nice shoe, they may well appreciate getting a nice pair of hunting boots. Cabela’s Iron Ridge Hunting Books, available in youth sizes, are 100% leather, waterproof, have steel shanks and removable cushioned footbeds. These hightops boots are good for harsher conditions and keeping the feet warm. Cabela’s Snow Pac youth. Hunting in colder conditions? These come with a removable liner and will keep feet dry for less than other snow boots. Cabela’s Snow Runner combines a good hiking shoe with snow boots. These are great all-around shoes for a new hunter, and the youth model is under $50. An experienced hunter knows it’s nice to have both hunting boots and hiking shoes for warmer weather. If you manage to get one pair wet on a hunting trip, you can switch to the other and let the first pair dry. You also have both types available to match the terrain. Bone Collector Crossbow or Compound bow with suction cup arrows. 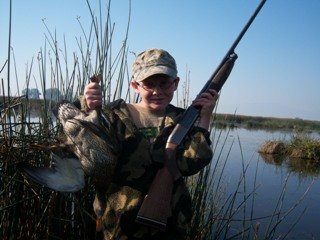 These gifts will allow your young hunter to safely target practice at an early age, and many of these items come in classic colors or pink. BB guns are another great gift for learning accuracy, as long as you stay with a good, classic one. There are all kinds of plastic guns hitting the market that are fun, but not good for target practice. The.22 is the classic beginner gun for small game. It doesn’t kick, and it’s inexpensive and there’s an abundance of youth models to choose from. The 30-30 Winchester is another great gun for new shooters. Younger hunters probably won’t be making a hero shot across the valley, and don’t need the giant bang to go with that. This gun is ideal for starting out, and is a good buy if it will be passed down to younger siblings or cousins. The .243 has a light kick and an excellent accuracy. The .270 or 30-06 is good if you plan to take your young hunter elk hunting. For waterfowlers, the Remington Youth 870, 20 gauge is a winner. Tradition is often an important part of hunting. Sometimes a great gift is a gun that’s been in the family, passed from parent to child and younger siblings. It’s hard to go wrong with any thoughtful gift, from the new and shiny, to soft and warm, to something with a story behind it.